Graco changed the world of thermoplastic striping with the ThermoLazer Striping System, and we—ve done it again with the new ThermoLazer 200TC. The premiere solution for smaller thermoplastic striping jobs. 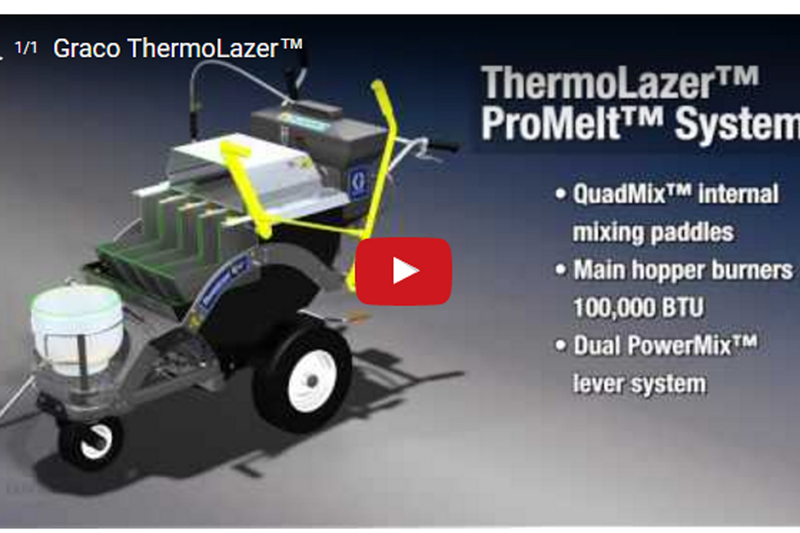 Graco's ThermoLazer 300TC is one of the most productive and easy to use thermoplastic handliners in the industry. 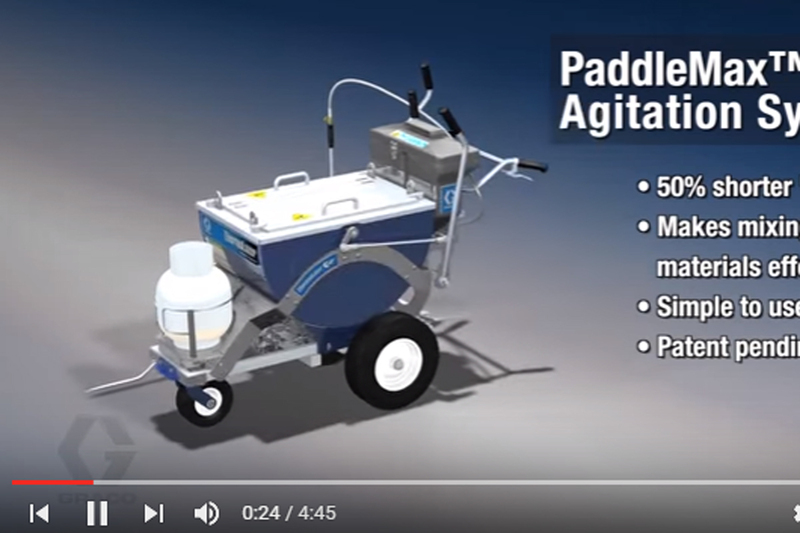 The system—s 300 lb material kettle allows for more striping and less time spent refilling with material, while its EasyGlide Wheel Mount System makes this unit as easy to maneuver as a LineLazer. Introducing the world's first fast melt, on-board handliner — ThermoLazer ProMelt System by Graco. Now, for the first time, it's possible to melt up to 300 pounds of thermoplastic material (6-50 lb bags) in a handliner in less than one hour! No one else can do this and we're proud to say that this patent pending system will soon become the new industry standard for years to come.